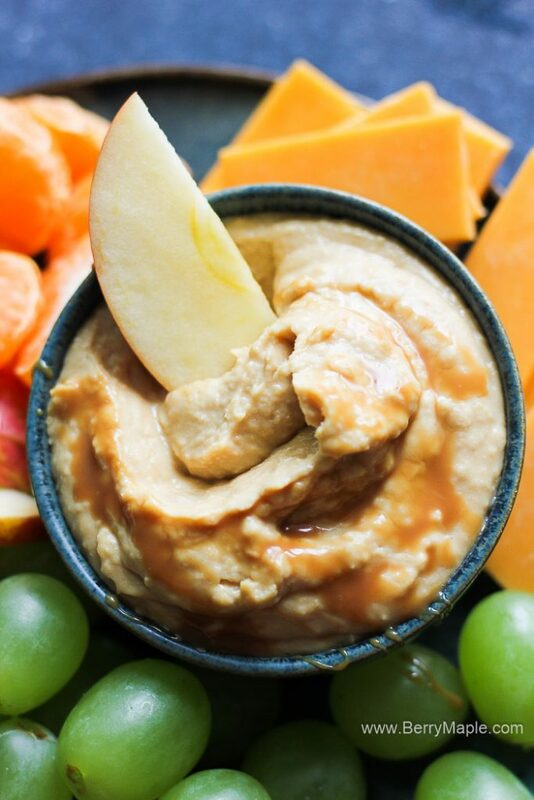 Sweet dessert hummus with caramel dulce de leche cheesecake flavor, oh my! I honestly think that sweet dessert hummus suppose to be a new trend now! It is healthy, nutritious, perfect for dipping all kind of fruit and berries. My favorite are sliced apples! 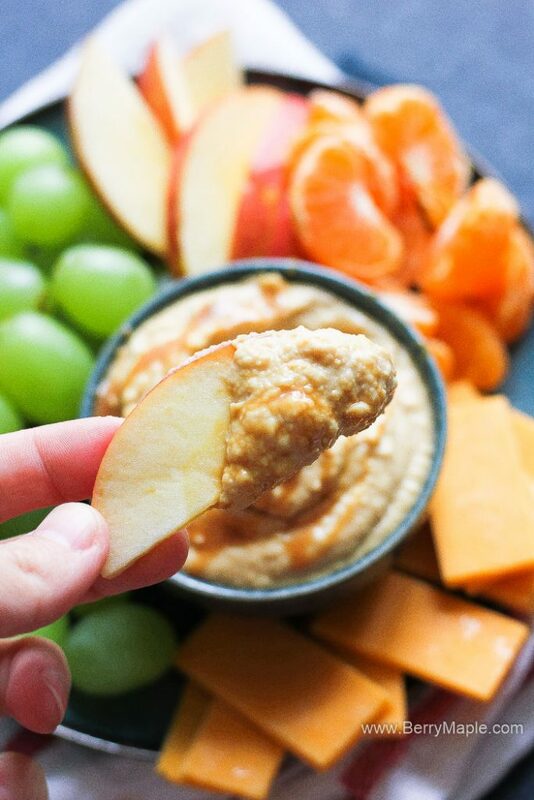 Crunchy sweet pieces of thinly sliced apple dipped in caramel cheesecake hummus, yum! Classic caramel or dulce de leche? It absolutely will depend on your personal preference. But if you ask me, i will choose dulce de leche. Its so easy to make it at home- here you can find recipes for homemade dulce de leche in Slowcooker, Instant Pot or on the stove from my blogger friends. They also sell dulce de leche in cans in supermarkets( out local Walmart and Safemart has it). Great option too! I don’t blame you if you like store bought caramel ( you know, sold in ice cream frozen isles)- just replace it using equal amount in the recipe. But, well, the taste will not be the same. 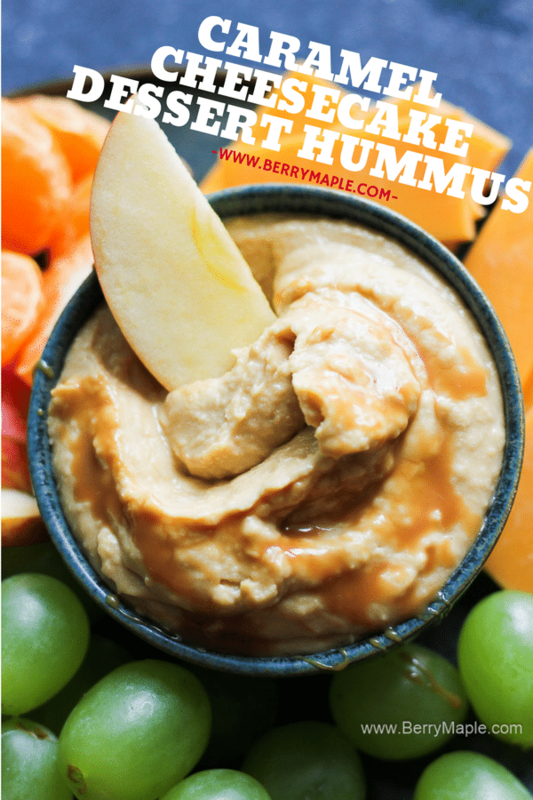 Fan of traditional hummus? 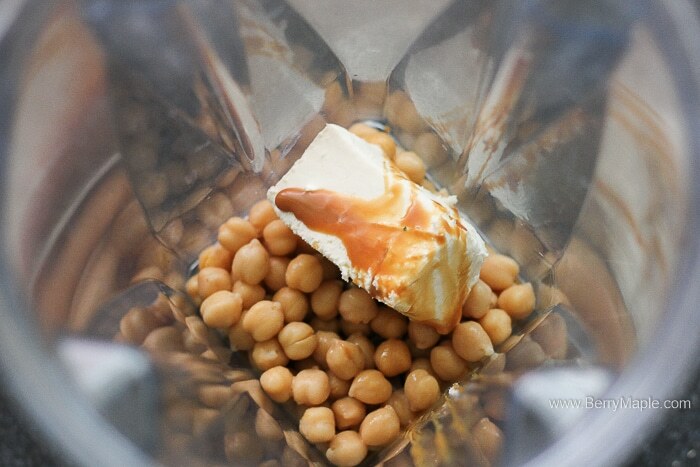 Try to make it with this homemade tahini paste! 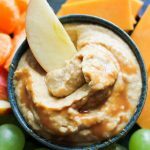 The title tells it all- sweet dessert hummus with caramel dulce de leche cheesecake flavor, oh my! 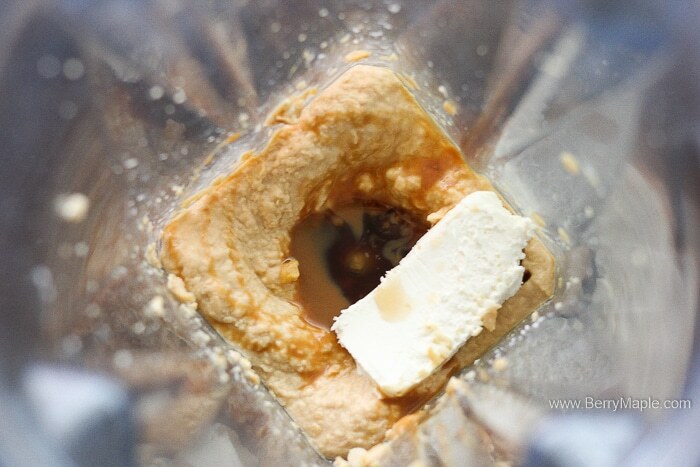 Add all the ingredient listed above in to your food processor or blender. Double or triple the recipe if needed. Also try Chocolate fruit and berry dip and Fruity chocolate medallions! This is such a great idea! Never thought of making it sweet for desert! I never knew you could turn hummus into a dessert! What an awesome recipe, I can’t wait to try it. Okay, first of all: dessert hummus? Too good to be true. And then it’s caramel cheesecake flavored on top of that?! Girl, you’re speaking my language. What a fun idea! I love dulce de leche, and this looks like a wonderful way to enjoy it. The texture looks so dreamy! What a delish and unique idea. Even the name makes me try it today. Genius! 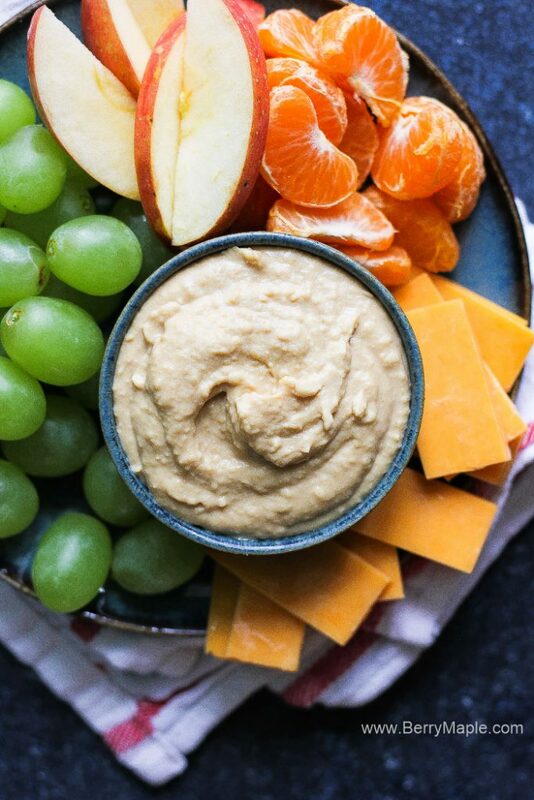 Dessert hummus? Yes, please! I baked a batch of chickpea blondies the other day and can confirm that chickpeas are great in desserts! This cheesecake dip looks like a possible new addiction! This looks like a great sweet snack. You would have completely had me before the chickpeas, but now my curiosity is genuinely piqued for this dish. wow! dessert hummus 🙂 That’s a first for me and I definitely have to try it. It will be a perfect dip for fruits and make a healthy dessert! oh this caramel cheesecake looks so delicious…wish i had some right now! Cheesecake dessert hummus! Wow! I would have never thought of this. It looks and sounds great. What an easy and unique treat to try out. Can’t wait.